Going around the country for projects, we always take a lot of photos about transportation including roads, bridges and transport modes. Thank goodness for digital cameras and cell phone cameras, and special mention to memory cards that have allowed us to take photos at will often only worrying about battery life. 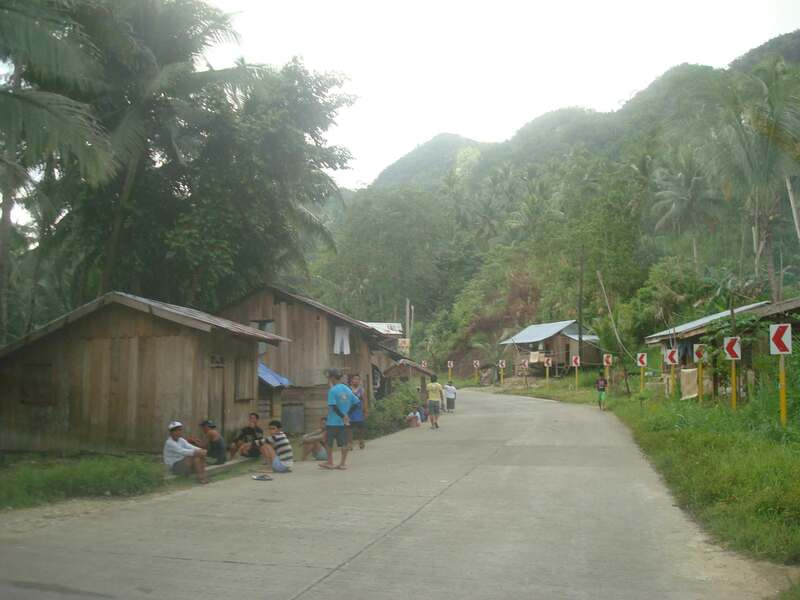 In a previous post, I wrote about encroachments to the RROW and featured some photos from field work we did in Palawan. This time, I was able to find a few choice photos taken from another project we did; this time in the island of Samar in the Eastern Visayas. In the following photos, one will see permanent structures already built along the roads – ones that are usually the most difficult to remove and the residents a challenge to be relocated. Houses built alongside the highway on what is supposed to be shoulder space. 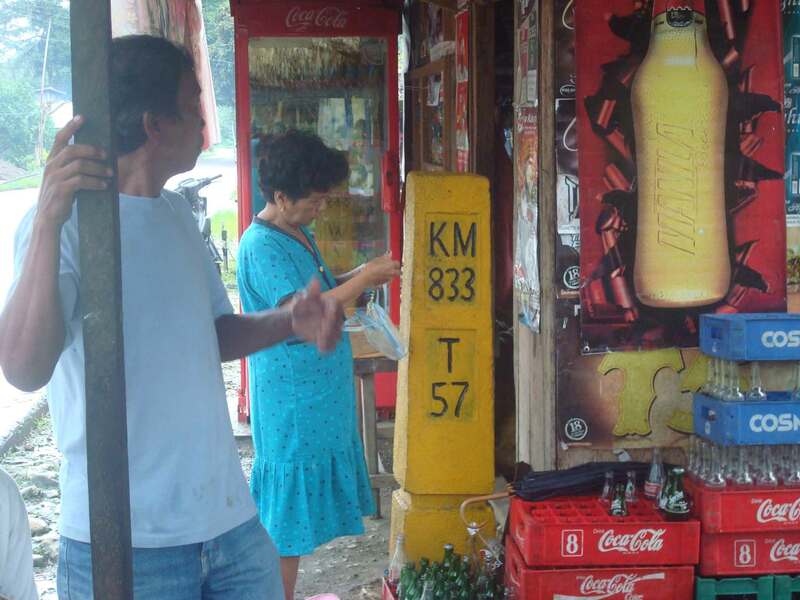 What looks like a booth in from tof the parked vehicle on the right is actually a guard post for the barangay. 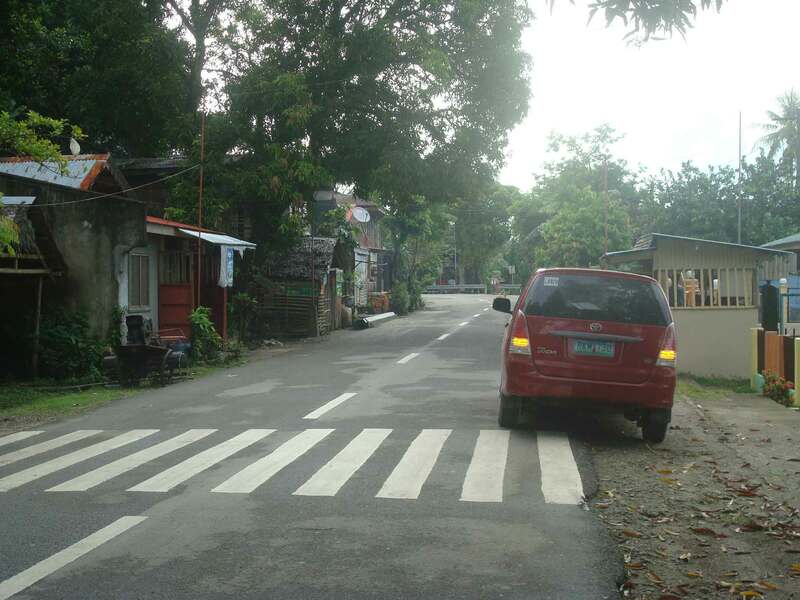 The barangay hall is located behind the fence visible at the right of the photo. Makeshift houses along the secondary national road also on space usually where the shoulders are. Some houses are located at a hazardous part of the road (i.e., right at the curve and just behind the chevron signs). 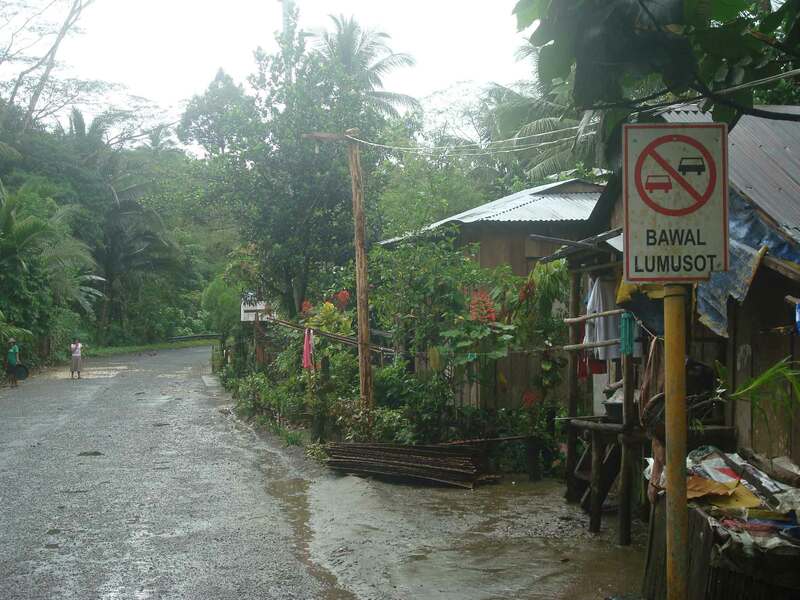 More houses with their fences encroaching on the RROW along a secondary national road in Eastern Samar – the sign on the right, while not exactly obstructed, will blend with the structures and will probably be unseen or unnoticed by motorists. Souvenir? – I have seen signs being stolen and displayed in some homes as trophies (actually an illegal act that can get one jailed and fined a hefty sum if caught by authorities). Some souvenirs are harder to take but can be integrated with the house interior or, in this case, as part of a store. Imagine knowing the exact location of a store in the area not through GPS but simply by knowing the exact kilometer post where the store was put up. There are many other examples of RROW encroachments along other roads. These seem to be common along all types of highways where development along the roads are generally not regulated by local governments but present future problems when space is needed to widen roads to accommodate traffic. Is it an issue of cooperation between the DPWH and the LGUs (including the DILG)? Or is it mainly a local issue that is largely the responsibility of local authorities? Perhaps it is both and something that needs to be addressed to enhance road safety as well as to ensure that future headaches will be avoided when it is time to access the RROW. By d0ctrine in Behavior, Highway Engineering, Land use on July 24, 2012 .